What does the science say about using marijuana for pain? From ingestion methods to choosing strains, a guide to marijuana and CBD for pain relief. For years, the standard for pain relief has been over-the-counter pills and prescription pain relievers. Tired of dealing with dangerous side effects and the potential for addiction, many people have started using marijuana for pain – particularly those who live with severe or chronic conditions. 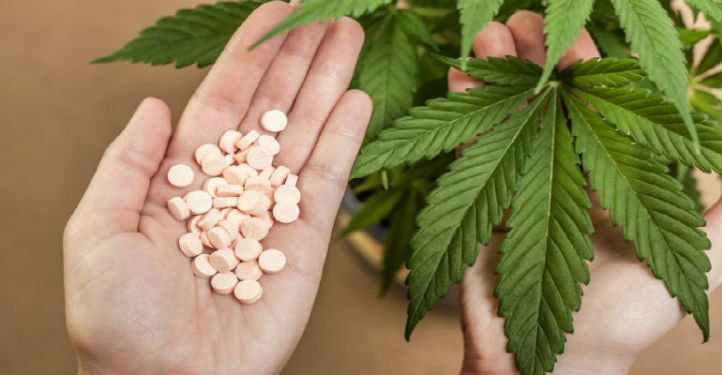 Could marijuana replace addictive opioids as a safer alternative treatment? What does the leading research say about marijuana for pain management? Many people have turned to marijuana for pain relief in order to avoid the side effects of traditional pain medications, but what does the research say about marijuana and pain? For people with chronic pain, simply getting through each day can be a struggle. Pain takes a physical toll, but it also has a huge emotional impact – often causing fatigue, anxiety and depression. Narcotic painkillers can provide powerful relief for some types of pain. Neuropathic pain (often experienced by those with conditions such as multiple sclerosis and diabetes) can prove to be tricky, as it doesn’t respond to many conventional pain medications. Even if a patient’s pain is well-controlled with traditional medications, the side effects often cause an entirely different set of health problems. Over-the-counter medications such as non steroidal anti-inflammatory drugs (NSAIDS) seem harmless but cause stomach issues and kidney damage if taken over long periods of time. The damage that NSAIDS can create is often silent but significant. People are dismayed and frightened when they discover that taking a few ibuprofen every day has resulted in a stomach ulcer or a drop in kidney function. Narcotic medications such as opioids are most often used for extreme chronic pain. In the short-term, many patients can find it difficult to go about their daily lives while taking opioids, as the sedation and dizziness make it dangerous to drive and hard to concentrate. Nausea and constipation cause opioid users to add additional medications into their regime to combat their upset stomachs. Over time, tolerance and addiction become very real concerns, which makes opioids incredibly dangerous for long-term use. Concerns about side effects and dependence – particularly with opioid painkillers – has led many people to consider cannabis as a treatment for their chronic pain. There are reportedly many benefits to cannabis, and one of them is its ability to provide relief for those who suffer from a variety of painful conditions. One of the loudest voices in the fight for patients’ right to use marijuana for chronic pain is NFL running back Mike James. In 2013, James injured his ankle and was prescribed opioid painkillers. He quickly developed a dependance on them. Alarmed, he turned to marijuana for pain relief in an attempt to avoid a dangerous addiction. The marijuana worked – and for the past few years, James has been in a battle with the NFL for the right to use marijuana for his chronic pain. Cannabis is a banned substance in the league and so far, James hasn’t succeeded in getting his treatment approved by NFL officials. Concern about side effects and dependence has led many people to consider using cannabis for pain. Using cannabis for pain relief isn’t a one-size-fits-all treatment, however. While some people find relief from whole-plant cannabis that contains THC (tetrahydrocannabinol), the ingredient that causes a high, others have discovered that CBD (cannabidiol) also works well to control their pain. The second-most prevalent cannabinoid found in marijuana, CBD can calm pain without any of the intoxicating effects that result when using THC for pain. This means that people can dose with CBD and still go about their daily tasks feeling clear-headed and able to function. This is what former NFL defensive tackle Cullen Jenkins discovered when he tried CBD to help with his chronic pain, depression, anxiety, and insomnia. The cannabinoid quickly replaced the alcohol and pills he’d been consuming to keep his symptoms in check. Like James, Cullen is now pushing to lift the stigma associated with cannabis. Even though CBD is non-intoxicating, if it’s derived from marijuana, it’s still considered a Schedule I substance that’s illegal under federal law. In addition to hampering research efforts, this is frustrating to patients who would like to use CBD for chronic back pain, arthritis, joint pain, and a number of other conditions without legal concerns or worries about drug testing (as trace amounts of THC can be present in marijuana-derived CBD oil). Prominent names like James and Cullen, as well as countless everyday people have claimed that they find relief when using CBD and/or THC for pain, but is there evidence to back up their claims? Are both of these cannabinoids truly effective for pain management? Scientists are working to find out more about the mechanisms through which cannabis helps treat certain conditions and symptoms. Studies that have been released so far show a connection between the endocannabinoids that occur naturally in the brain and its reaction to things such as pain and external stimulation. Endocannabinoids also help control overall mood and behavior. Cannabinoids like THC and CBD that are found in cannabis interact with the brain’s receptors and stimulate them in a similar fashion as endocannabinoids. This means that they can do things like reduce pain, provide a sense of calm and well-being, and increase focus. Although they work on entirely different receptors, it’s clear that both THC and CBD are effective for pain. They’re so effective, in fact, that a drug called nabiximols (marketed under the name Sativex) has been approved for cancer pain, as well as neuropathic pain for people with multiple sclerosis. McGill University in Montreal ran a study in 2010 that compared cannabis to a placebo and focused specifically on THC for pain relief in those with chronic nerve pain. They found that THC was effective at reducing pain in participants who consumed three puffs a day of cannabis with levels of THC that ranged from 2.5% to 9.4%. The best relief came from the cannabis with the highest THC. Participants noted that the cannabis did not completely alleviate their pain but significantly reduced it and made it more bearable. THC achieves its anti-inflammatory and pain-relieving properties through its interaction with the body’s CB1 and CB2 receptors. Common side effects of THC are a euphoric high, increased heart rate, dry mouth, drowsiness, dizziness, a slowed perception of time, and short-term memory problems. THC may also cause anxiety in those who are prone to it. More recently, another team at McGill looked into the use of CBD for nerve pain. The results were promising, revealing that low doses of CBD administered over seven days was effective at relieving both pain and anxiety without causing a euphoric high. CBD also has anti-inflammatory effects and works by interacting with different cannabinoid receptors than THC. It also prevents the breakdown of a natural chemical called anandamide that lifts mood and helps suppress pain by binding with the same receptors as THC. All of this means that CBD can provide a non-intoxicating alternative for those looking into medical marijuana for pain relief. CBD has few side effects, but at higher doses it can cause a dry mouth, drowsiness, or lightheadedness. People have found relief using THC as well as CBD for pain management. After learning about THC and CBD for pain management, the next question patients have is typically about marijuana strains. Is it best to choose indica or sativa for pain? The best choice of marijuana strain will vary from patient to patient depending on their individual symptoms and brain chemistry. Each strain has varying amounts of THC, CBD, as well as terpenes that will affect the way it works in the brain and body. Doctors are allowed to suggest cannabis as a treatment for pain, but they aren’t allowed to prescribe specific strains. While this means that patients must go through a period of trial and error to find what strain and dosage works best, there are a variety of strains to choose from – each with its own effects. Generally, sativa strains are thought of as more uplifting. They’re known to provide a “head high” that motivates people to get up and be productive. People who experience anxiety along with their chronic pain are often advised to be cautious with sativa strains, as many of them can make anxiety worse. Meanwhile, indica strains create a “body high” that makes the patient feel physically relaxed. These strains are useful for calming anxiety, releasing muscle tension, as well as helping with sleep. Because indicas are known for causing “couch-lock,” they’re not advised for use if a patient needs to drive, run errands, or go to work. Hybrid strains provide a mix of sativa and indica qualities, with each one offering a different mix of cannabinoids and terpenes. These strains can provide relief for those who need a treatment that can uplift and help them get up and about while calming their anxiety. Hybrids are often an excellent way to find a helpful ratio of THC to CBD for chronic pain. Depending on legality and availability, there are many consumption methods for patients who are using medical marijuana for pain relief. Just as with choosing a strain, picking the best ingestion method can require a bit of experimentation to see what’s most effective at delivering the right dose in the most convenient manner. The following are the most common methods for ingesting marijuana for pain. One of the most common delivery methods for marijuana is inhaling it through smoking or vaporizing it. Smoking cannabis involves actually combusting the material and inhaling the smoke, while vaping heats marijuana flower or concentrate to a temperature that releases a cannabinoid-filled vapor (minus the smoke). For those who have lung issues or who are concerned about risks associated with smoking, vaping is an excellent option. Using either method, one puff delivers results within just a few minute; effects will peak over 15 minutes. This is why many people who use marijuana for back pain or any other chronic pain condition where quick relief is needed often opt to smoke/vape it. In addition to working fast, this method allows them to carefully control their dose in order to be clear-headed when necessary throughout the day. Smoking/vaporizing isn’t limited to patients who are interested in using THC to control their pain. A patient who would like to use CBD for joint pain, for example, can find relief though marijuana strains with a high CBD content, CBD concentrates, as well as vaporizing CBD oils. When it comes to marijuana and pain, edibles are a subtle and simple way to medicate. Marijuana-infused edibles take longer to act than smoking; effects begin to kick in anywhere from 60 to 90 minutes after eating a cannabis-infused treat. Some edibles contain THC, but it’s also possible to get pain relief through consuming CBD-infused edibles. The options for edibles are endless, with people dosing up using brownies and cookies, candy bars, lollipops, and gummy candies. Some people infuse marijuana or its concentrates into cannabutter and use it in everything from popcorn to savory dishes. Cannabis-infused tea and hot chocolate are also popular options for edible dosing options. For those who prefer taking medication in pill form, cannabis oil pills are convenient and easy. Cannabis tinctures such as sprays and drops are taken orally and work similarly to edible cannabis, typically taking over an hour to work. Because edibles can take a long time to kick in, this makes controlling the dosage much harder, especially for those who are inexperienced and are just starting to experiment with marijuana for pain. Once they do take effect, however, marijuana edibles can provide long-lasting relief. Topical treatments can help deliver medication directly to the site of discomfort. These are an excellent option for someone who, for example, would like to try cannabis for back pain or CBD for knee pain but who don’t want to ingest marijuana or its extracts. Even if topical creams, lotions, or balms contain THC, they won’t cause a high or show up on a drug test. This is because the THC will go to work on the CB2 receptors located in the area where the topical is applied; none of it will be absorbed into the bloodstream to affect the CB1 receptors in the brain. The same isn’t true of transdermal patches, however. A transdermal patch is specifically designed to deliver medication into the bloodstream. Those who need to avoid THC due to employer drug testing or for any reason should ensure that there aren’t high levels of THC contained in a transdermal patch before using it. People using marijuana for pain relief can smoke it, but they can also ingest it through edibles or apply it topically. Marijuana for Pain: A Gateway Drug? •Prescription opioid painkillers are highly addictive. According to the National Institute on Drug Abuse, nearly one-third of patients who are prescribed opioid painkillers for chronic pain misuse them. Between 8 and 15 percent develop an addiction to them, with 4 to 6 percent moving on to substances such as heroin. •Marijuana is an exit drug – not a gateway drug. 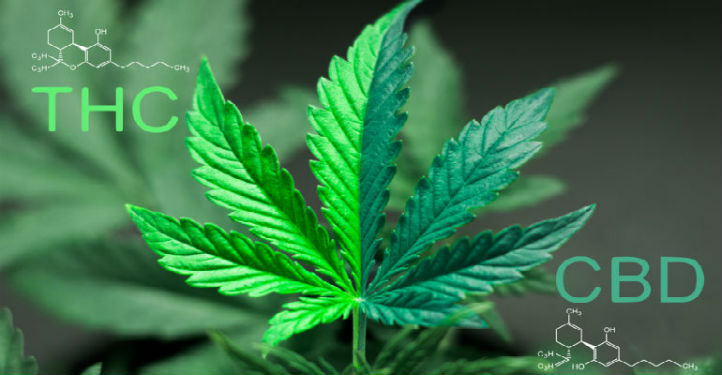 In a September 2016 article in The Boston Globe, Dr. Uma Dhanabalan discussed how despite the general miseducation about cannabis as being a gateway to stronger substances, it’s helping many people with chronic pain break their dependence on pills. “Cannabis is not an entrance drug,” she said, “it is an exit drug from pharmaceuticals and narcotics.” In fact, cannabis is being used in drug-addiction programs to help treat those with opioid addiction get off of hard and dangerous substances such as heroin and prescription painkillers. •States with legal medical cannabis have fewer opioids prescribed. Not only do the statistics on marijuana fail to label it a gateway drug, studies suggest that there may be a link between access to medical marijuana and less overall dependence on opioids. This translates into a lower number of opioid-related deaths due to overdose and driving accidents. A 2014 study for JAMA Internal Medicine found that in states with legal access to medical cannabis, addiction to opioids dropped 25% compared to states where medical cannabis remained illegal. In 2017, researchers at Columbia University looked into the link between medical marijuana laws and traffic fatalities. They discovered that a link between legalized medical cannabis and a drop in vehicular fatalities where opioid intoxication was the cause. Statistics have shown that doctors in these states wrote fewer prescriptions for pain medications. 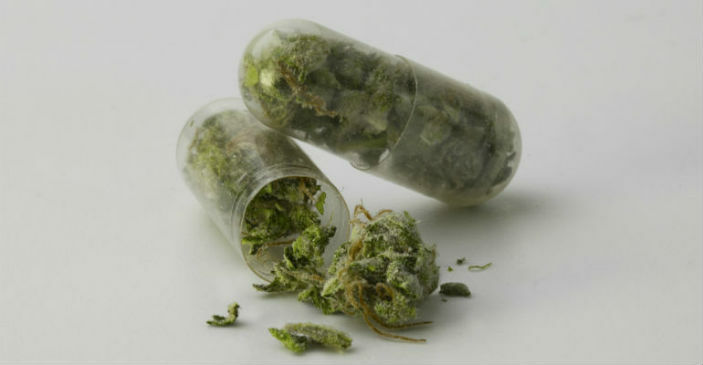 •Pharmaceutical companies are some of the biggest opponents of marijuana reform. As medical cannabis has become legal in more places, the pharmaceutical companies that sell prescription opioids have kicked off a loud and vocal anti-marijuana lobby. In addition to funneling money to groups that perpetuate the “marijuana as a gateway drug” myth, drug companies have argued against a reclassification of marijuana that would allow it to be researched more thoroughly. Because of the continued difficulties surrounding access and research, this makes it tough for patients to know exactly what product will work best for their specific condition. Does marijuana help with pain? The evidence shows that yes, using marijuana for pain is an effective treatment. Scientists have found that both THC and CBD – the two cannabinoids found in marijuana in the highest concentrations – have anti-inflammatory and pain-pain-relieving properties. Yes; research studies have shown the effectiveness of CBD for pain relief. CBD can be found in high-CBD strains of marijuana, concentrates, oils, and topical creams. Because it’s non-intoxicating, someone can take CBD for back pain, for example, and go about their day without feeling high. Should I choose indica or sativa for pain? Choosing the best strain of marijuana for pain relief depends on each individual, their symptoms, and the goals they’d like to achieve. Sativa strains are known to be uplifting and energizing, while indica strains relax the body and cause drowsiness. Hybrids can provide the best of both worlds. Will using marijuana for chronic pain lead to harder substances? No. While people taking prescription opioids can become addicted quickly and sometimes move on to harder drugs such as heroin, the statistics show that rather than functioning as a gateway drug to harder substances, medical marijuana can prevent people from becoming addicted to opioids and can help them transition off of these harder drugs. Using medical marijuana for pain can help patients transition off of dangerous opioids. For many years, marijuana was only known as a method of getting high. Over the past few decades, studies have shown that the plant has real medical potential. Patients around the world are finding relief by using marijuana for chronic pain, anxiety, depression, epilepsy, and more. With an increasing number of voices and a growing body of evidence supporting the use of marijuana as medicine, the stigma is beginning to lift and laws are starting to change. As this happens, more research can take place – and there will be better access to medical marijuana for pain for those who need it most.